Here it is ! New strict xhtml/css Template for you to use in any way you want. 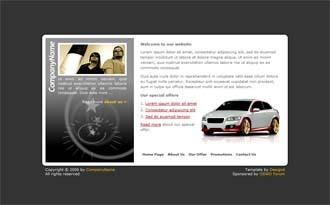 I named this one Auto or Car Template because of that beautiful new Volvo C30 that you can see in there. Comments are welcomed as always and if you use this template just send me a message so I can see it in action.